Dolls haven't always set the best examples for the young girls who play with them, but things are slowly starting to change. Barbie recently got a makeover to represent more skin tones and body types, and now a new line of dolls is aiming to inspire girls to lean in—from the very beginning. The Willowbrook Girls include a diverse cast of seven dolls, each with her own distinct goals (which range from becoming a CEO to a journalist abroad to a U.S. Senator), opinions, and personality. Instead of focusing their attention on clothes and makeup, these girls are more interested in teaching themselves to code and leading the student government. The dolls include a story series which explores each character in-depth. In the first story, the fifth grade friends work together to start their own school business. While studies have shown that female students outperform boys in school, women are still vastly underrepresented in fields like politics, entertainment, and engineering. 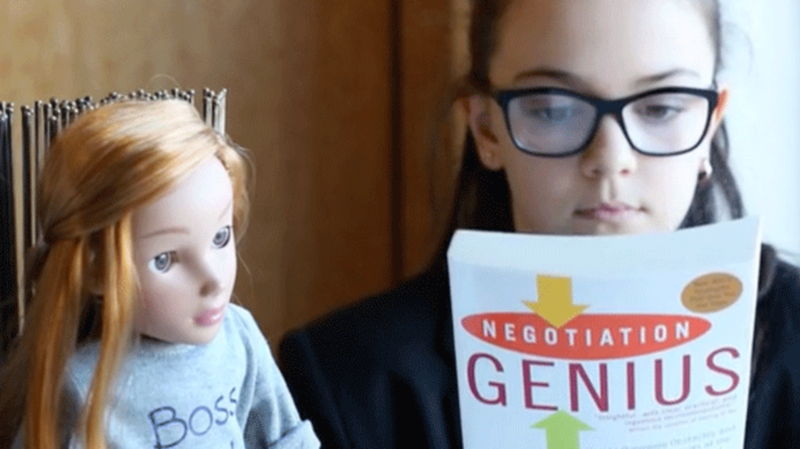 Neha Chauhan Woodward, the founder of Willowbrook Girls, hopes the dolls will inspire drive in young girls that will last them their whole lives. "Creating dolls with career ambitions was important to us," the description reads on the project's Kickstarter page. "Our dolls aren't here to tell girls what they can do. They're here so they never doubt it." Cara, the first doll in the Willowbrook Girls line, is currently available for preorder from Kickstarter with delivery estimated for September of this year. The campaign has already reached over $18,000 of its $30,000 goal, and backers still have more than three weeks left to pledge.